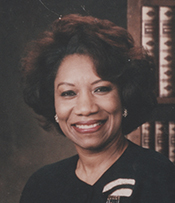 After her swearing–in on April 16, 1996, Millender–McDonald served on the Transportation and Infrastructure Committee and the Small Business Committee. She kept both assignments throughout her congressional tenure. As a freshman, she was appointed Ranking Member of the Small Business Subcommittee on Workforce, Empowerment, and Government Programs. In the 106th Congress (1999–2001), Democratic leaders named her a regional party whip, and in the 107th Congress (2001–2003), she co–chaired the Democratic Caucus for Women’s Issues. Then, in the 108th Congress (2003–2005), she drew assignments on the Committee on House Administration and the Joint Committee on Printing, and she was appointed Ranking Member of the Subcommittee on Tax, Finance, and Exports. In the 109th Congress (2005–2007), Democratic Minority Leader Nancy Pelosi named Millender–McDonald Ranking Member of the Committee on House Administration.8 After the Democrats regained control of the House in the 2006 elections, she was named chairwoman of the House Administration Committee, Millender–McDonald also held the Vice–Chair post on the Joint Committee on the Library, whose membership roster was drawn from the House Administration Committee and the Senate Rules and Administration Committee. 1Stephanie Tubbs Jones of Ohio was simultaneously appointed chairwoman of the House Committee on Standards of Official Conduct. 2Politics in America, 2004 (Washington, DC: Congressional Quarterly Inc., 2003): 138. 3Quoted in Nicole Gaouette, “Juanita Millender–McDonald, 68; Southland Congresswoman,” 23 April 2007, Los Angeles Times: B9. 4Politics in America, 1998 (Washington, DC: Congressional Quarterly Inc., 1997): 194. 5Politics in America, 2004: 139. 6Politics in America, 1998: 193–194. 7“Election Statistics, 1920 to Present,” available at http://clerk.house.gov/member_info/electionInfo/index.aspx. 8Almanac of American Politics, 2006 (Washington, DC: National Journal Inc., 2005): 270. 9Politics in America, 2004: 138; “Official Biography of Juanita Millender–McDonald,” http://www.house.gov/millender–mcdonald/bio.htm (accessed 22 November 2004); James Bornemeier, “Broader Horizons; Seat in Congress Opens New Doors for Juanita Millender–McDonald,” 21 April 1996, Los Angeles Times: A3. 11Ibid; Kelly McCormack and Sam Youngman, “Millender–McDonald Remembered for ‘Dignity,’ ‘Determination,’” 24 April 2007, The Hill: 13. Papers: In the Ronald V. Dellums Congressional Papers, 1971-1999, 47 linear feet. Persons represented include Juanita Millender-McDonald. Papers: ca. 1984-2007, 13.34 linear feet. The Juanita Millender-McDonald Collection includes: correspondence, newsletters, press releases, speeches, reports, flyers, questionnaires, bills and amendments, greeting cards, newspaper clippings, and ephemera including photos, plaques and video tapes. A large number of files are devoted to the Congressional Black Caucus, Transportation and Infrastructure Committee, the Congressional Caucus on Women’s issues, California Assembly, and House Administration. Subjects include labor issues, HIV/AIDS, CIA Nicaraguan Contra scandal, education, minority issues, finance, health, the John Kerry Presidential Campaign, political practices and policies, transportation and China. A finding aid is available in the repository and online. Videotapes: In the California State University, Dominguez Hills Video Collections, 1973-2006, 30 linear feet. Persons represented include Congresswoman Juanita Millender McDonald. Papers: In the Comision Femenil de Los Angeles Papers II, ca. 1980-1990, amount unknown. Correspondents include Juanita Millender-McDonald. "Juanita Millender-McDonald" in Black Americans in Congress, 1870-2007. Prepared under the direction of the Committee on House Administration by the Office of History & Preservation, U. S. House of Representatives. Washington: Government Printing Office, 2008. "Juanita Millender-McDonald" in Women in Congress, 1917-2006. Prepared under the direction of the Committee on House Administration by the Office of History & Preservation, U. S. House of Representatives. Washington: Government Printing Office, 2006.